Smokers treated for breast cancer have far higher risks of developing lung cancer or heart attack as a result of RT. The researchers note that radiation therapy lowers the absolute risk of breast cancer mortality by a few percentage points in suitable women. However, it can cause a second cancer or heart disease decades later. The researchers estimated the absolute long-term risks of modern breast cancer radiation therapy and found smokers treated for breast cancer have much higher risks than nonsmokers of developing lung cancer or heart attack as a result of radiotherapy. The study showed that for nonsmokers the long-term risk of death from lung cancer or heart attack caused by radiation is only 0.5%. However, the risk shot up to approximately 5% for smokers. The findings are based on a worldwide study of the lung and heart radiation doses and risks in 40,781 women with breast cancer in 75 randomized trials of radiotherapy. Modern breast cancer radiotherapy techniques have improved in recent years and are far better at sparing the lungs and heart than those used in the trials. To account for this, the researchers also reviewed recent literature on more targeted radiation therapy techniques. 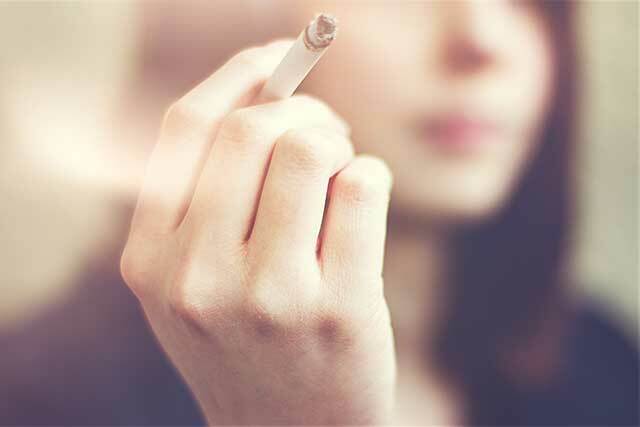 They concluded that smoking cessation is paramount and patients with breast cancer who smoke need to be offered support to minimize any risks from their treatment.